i Amore macca!!!. . Wallpaper and background images in the Paul McCartney club tagged: paul mccartney very hot. 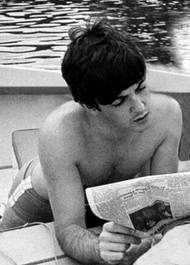 This Paul McCartney photo contains vasca idromassaggio. There might also be piroga, canoa, bagnante, segno, manifesto, testo, lavagna, and poster.